Compass Racing principal Karl Thomson's team runs the McLaren 570S GT4 in the Continental Tire Challenge throughout North America, as well as the Pfaff Audi RS3 LMS in a different class in the same series. 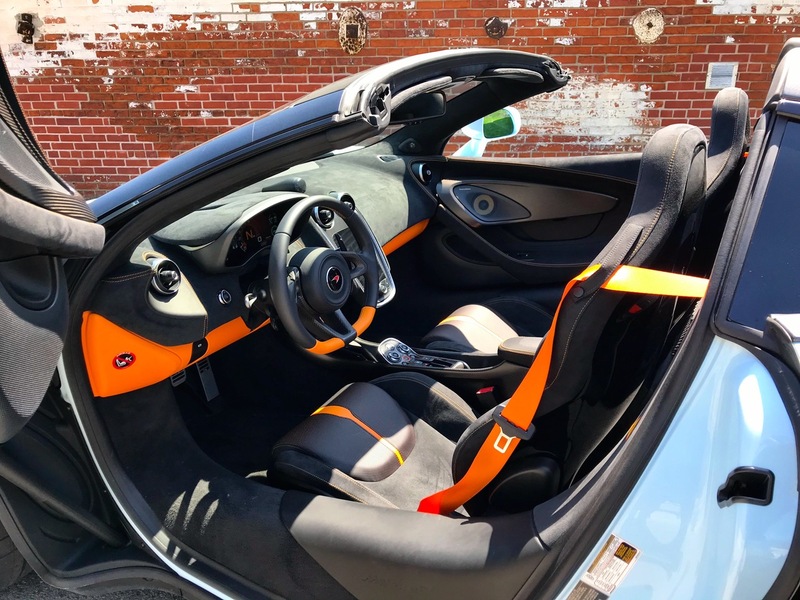 We thought he'd have an interesting perspective on driving the new 570S Spider on the street. Interestingly, this is also the title of Jon Hopkins’ latest album. As a fan of electronic music, Hopkins is a favourite. Most people would know his work from the opening passage on Coldplay’s Viva la Vida (or Death and All His Friends), “Life In Technicolor,” but his back catalogue is pretty special. It felt fitting that his new release was the first thing that I played through the Bowers & Wilkins sound system on the 570S Spider that Pfaff was kind enough to let me borrow for a few days. This was the first time for me in a McLaren road car, but not my first experience with the brand. My team, Compass Racing, fields McLarens in the IMSA Continental Tire Sportscar Challenge and the Pirelli World Challenge, having won races in both series, most recently at the Long Beach Grand Prix last month in California. Our 570S GT4s are based largely on the road car, and are actually produced in Woking, England, alongside the very cars that Pfaff customers can purchase and drive on the street. I’m a long-time Pfaff customer, and my daily drivers include a Porsche Cayman GT4, Audi A4 Avant, Porsche Macan and 911 Twin Turbo. But I’d never driven a street-legal McLaren. Creative Director Laurance Yap was kind enough to arrange an extended loaner for me. 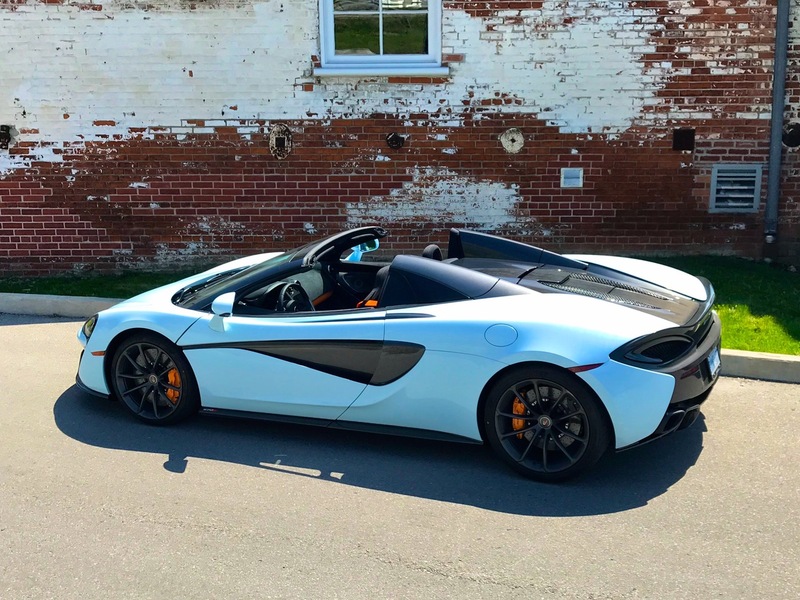 A stop to McLaren Toronto is never a short one, since a number of the mechanics at the shop are part of our crew on race weekends, and it’s fun to catch up with what they are working on back at Pfaff’s home base. There’s always such an interesting collection of cars on the hoists; my most recent visit saw a Ferrari 348 in for an engine-out service, a new Acura NSX, a McLaren P1 and 650S, and a 997 Porsche. With our race cars being based so firmly on street cars, the knowledge base of folks that know the intimate details of the road cars is really helpful when we get to the track, as we’ve seen a number of times this season. 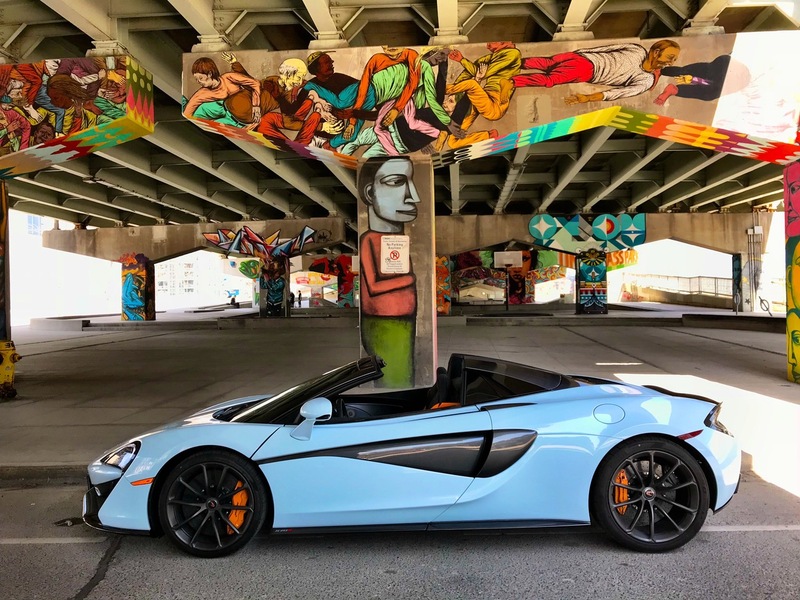 All McLarens have a wonderful sense of occasion, but the Spider Launch Edition is something pretty special. Rendered in a lovely powder-blue-metallic with Storm Grey accents over grey and papaya orange, it’s a visual treat. It’s also a very friendly-looking car; more than one police officer waved to me during my 36 hour test-drive. It’s a simple truth that this car attracts a crowd wherever it goes, including my stop for errands on Queen Street East in the Beaches, where I live, which resulted in a collection of half-hour conversations before I was underway and on my way home. Our race cars are, naturally, coupes. 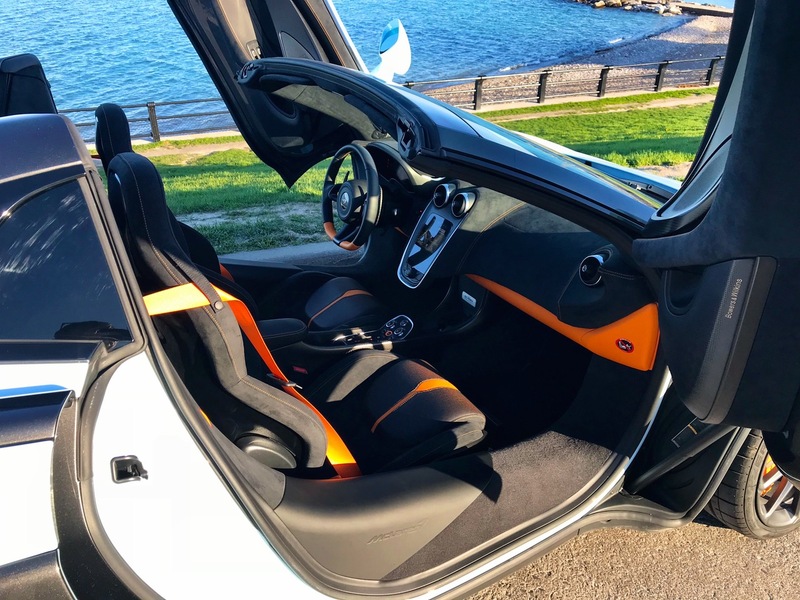 The 570S architecture is such that the roof isn’t load-bearing, and so the Spider doesn’t suffer much of a weight penalty (I’m told about 40 lbs) and more importantly, has the same structural rigidity of the coupe, which means one can enjoy top-off motoring without compromising performance. I frankly love convertibles, and was fortunate to enjoy a couple of days of joyous springtime weather. As an old-school car guy and racer, I love manual transmissions. A part of me is saddened by the move to flappy-paddle sequential and the abhorrent CVT that seems to be spec’d for all of my rental cars at race weekends. It’s why I bought the Cayman GT4; I think that’ll be one of the last normally-aspirated, gated-shifting Porsches. But you spend a little time with a properly-fettered modern DSG-style gearbox and you begin to understand why things have moved on. The ‘box fitted to the 570S is so fast, and so smart, that you realize just how superior it is. Perhaps more interestingly, it’s also quite satisfying when used in manual mode. The feeling of the paddles is tactile and the exhaust note on upshifts is smile-inducing. In traffic, the 570S is just like any other car. Which is pretty incredible when one considers the compromises you had in supercars just a few years ago (or still do to this day). It’s docile and simply gets on with being in traffic on King Street West, albeit with lots of people taking pictures of you. It used to be that you suffered through a heavy clutch in traffic so that you could wind out your 964 Cabrio once you got out of the city, but that’s just not necessary any more. The acceleration and speed of the 570S are simply otherworldly, and it dispatches 0-to-illegal as handily as it does stop-and-go traffic. And I know this sounds like lots of modern-day luxury cars, but the McLaren is simply on another level. Which, for the better part of $300k, you would expect. Here’s the thing: I think it’s incredible value-for-money. 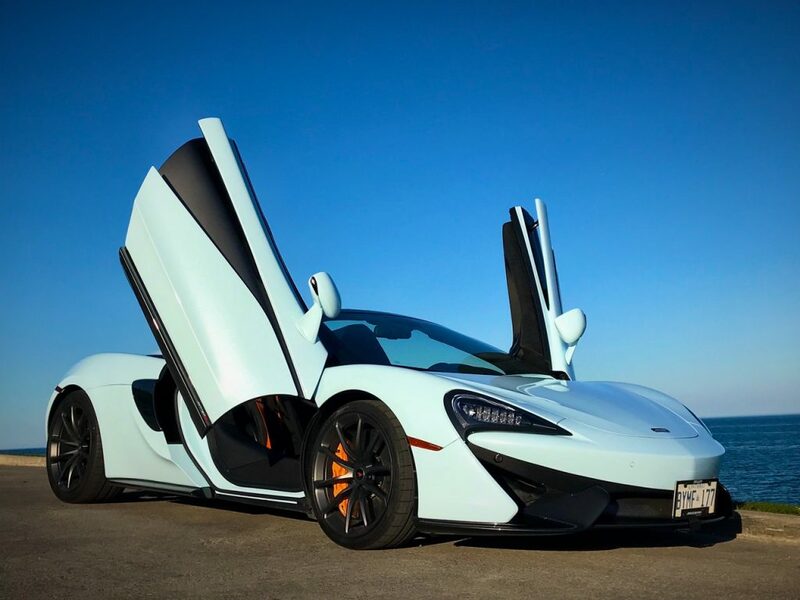 I don’t think there’s any car that combines what the 570S offers for twice the cost. Or thought of another way, there’s nothing that comes close for half the cost. My Cayman GT4 was $150k, and I doubt I’ll sell it, because it makes me smile every time I drive it. But it doesn’t feel special in the way the McLaren does; the chassis isn’t as advanced; and it’s not nearly as fast. The Spider is “just” twice as much money but feels worlds more whilst driving it. 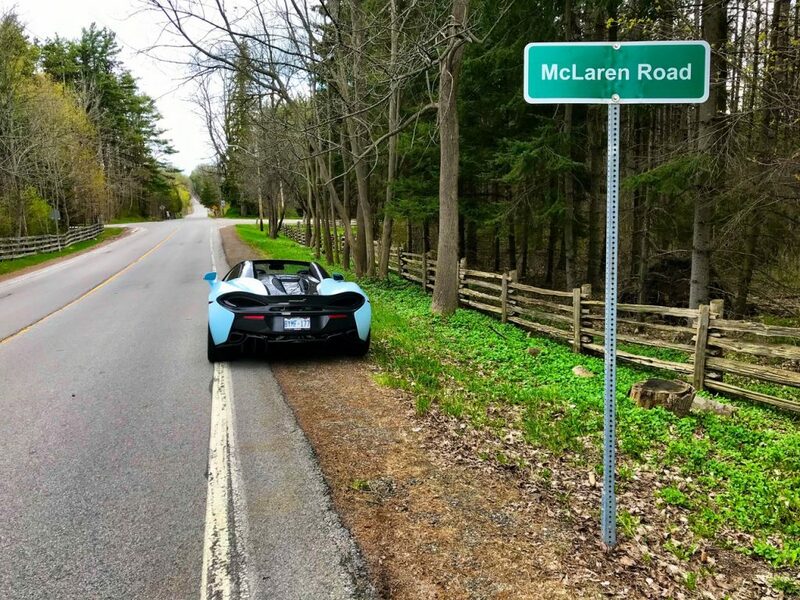 With Hopkins' pumping through the speakers, I sped through the Forks of the Credit and past McLaren Road on my way back to McLaren Toronto. A whirlwind few days, which included a late-night stop by my son’s friend who wanted a picture with the car, a drive to Waterloo to see my daughter at university and the resulting drive through the country. I also dropped by my parents who appreciated the 570S’s acceleration (I wish I’d had a camera on my mother’s face). With regards to tech, I loved my Motorola cell phone in 1994, but I wouldn’t trade it for my iPhone today. Yet cars aren’t just technology. They have a soul and that stirs something in some of us. It’s why I still love my vintage air-cooled Porsches. What’s impressed me with the 570S is that McLaren has created a car that is so incredibly capable without feeling sterile. In fact, it’s the opposite. It exudes emotion. It’s a truly special car, one that will give those thinking of a new 911 Turbo or Audi R8 pause. 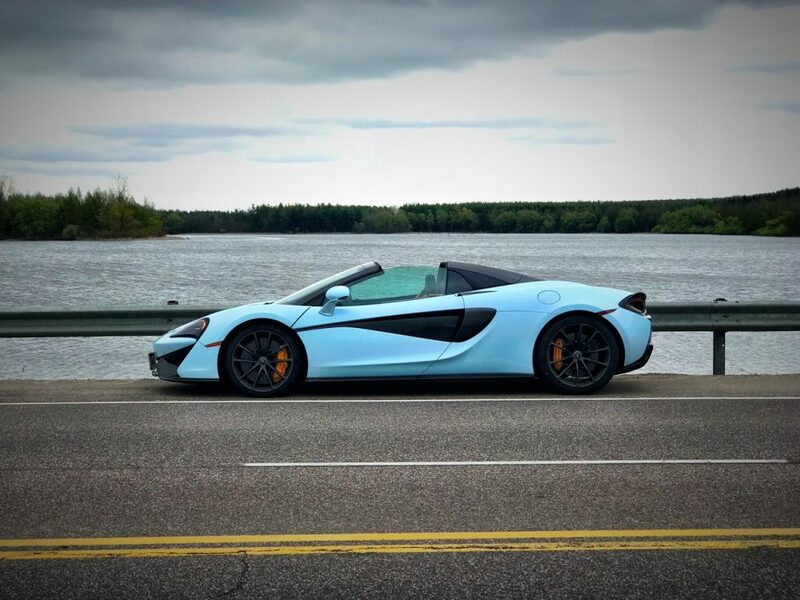 The 570S, especially in Spider guise, is another step towards the Singularity. And whilst many have concerns about the “rise of the machines” (and I am mindful of this cautionary tale), if cars like this are what the future holds, I colour myself wildly optimistic.